Sunday Funday In The Garden! I know it’s Monday, but I just wanted to share all the fun things I did in the garden this weekend. Hopefully my playtime (that’s right, I didn’t use the word chores!) will be inspiring to you. I’m still pruning lots of dead stuff from the crazy winter we’ve had. (Okay, this one was definitely a chore.) All that material went right into my compost bin, on top of all the weeds I pulled. 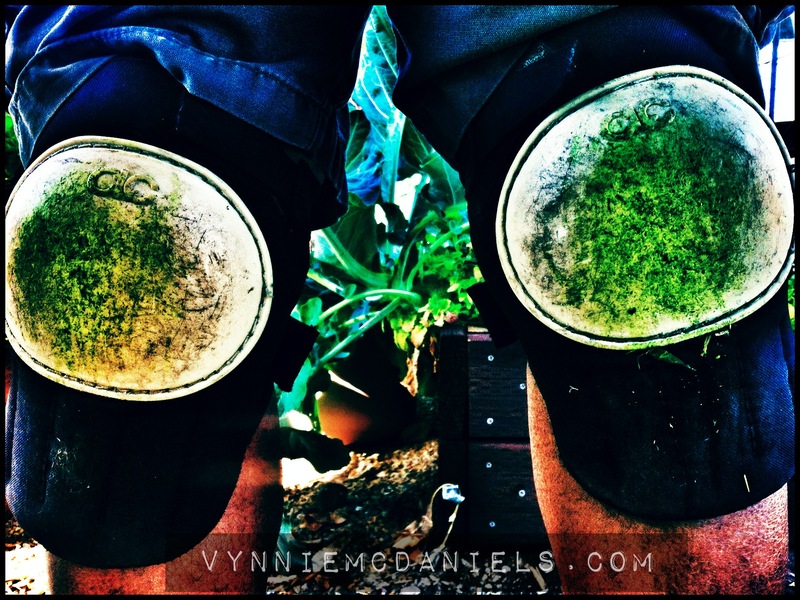 I don’t mind pulling weeds because it gets me up close and personal down low in the garden where I can enjoy some amazing colors and smells. I also noticed my chamomile doing their job handling the aphids. I just throw chamomile seeds everywhere as my wildflower pest manager. Oh, I can make tea with it too. Happy broccoli with no bugs. Thank you chamomile! Now that it’s officially warm (we’ve hit 95* this past week!) I had to get some tomatoes planted. Usually, I start my own seeds, but that didn’t happen this winter, so I took a little shopping trip out to Root, a new local nursery in my neck of the desert. 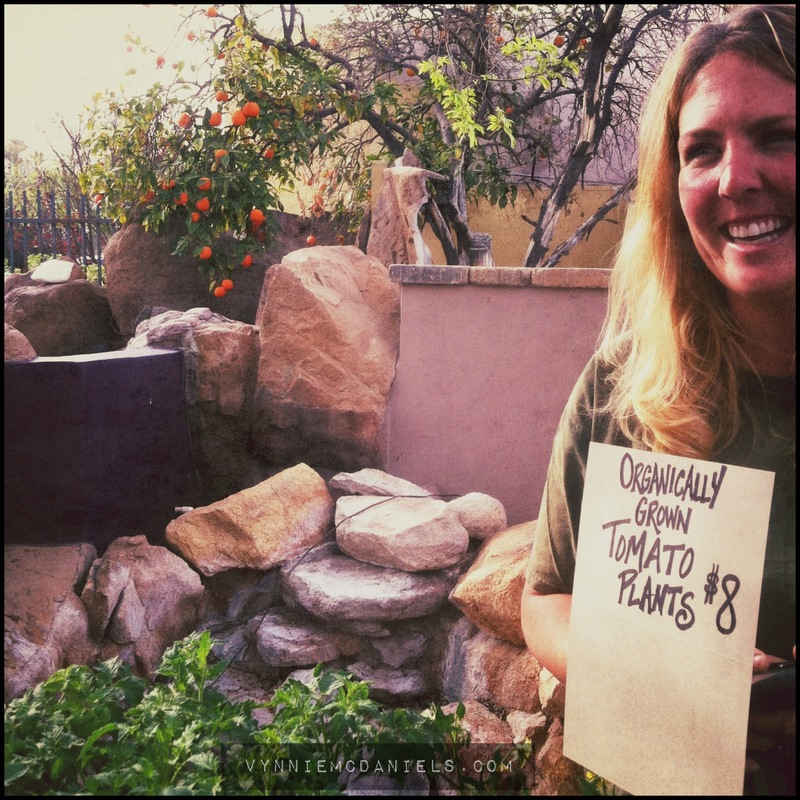 While there I ran into the lovely Rebecca of MyFarmyard.com, who is growing some amazing tomato plants. Some of the healthiest tomatoes I’ve ever seen! Rebecca of My Farmyard – the sunshine to her tomatoes! I decided to try a few new varieties for me – Striped German, Washington (mini), and Black Cherry (mini). 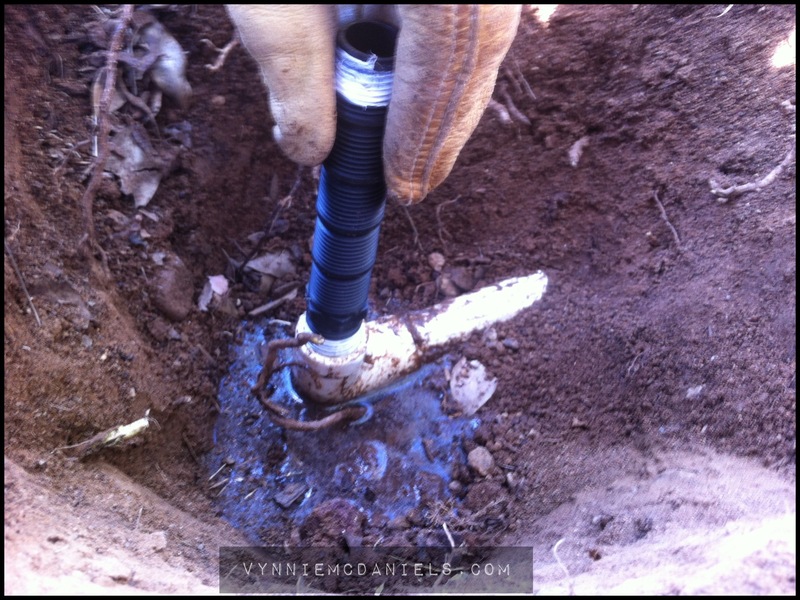 With the tomatoes planted (and the kale, and lavender, and hollyhocks, and strawberries), it was time to get back to one small chore – a little irrigation repair. Luckily not much was involved aside from adding a few extra drip emitters to an area. The fun part of it was converting my lawn sprinklers to drip. Now all my veggie beds are on the automatic timer. Nice! Alas, with all that done, I headed off for cold glass of lemonade. But, not before I was halted by a stranded carpenter bee on the patio. 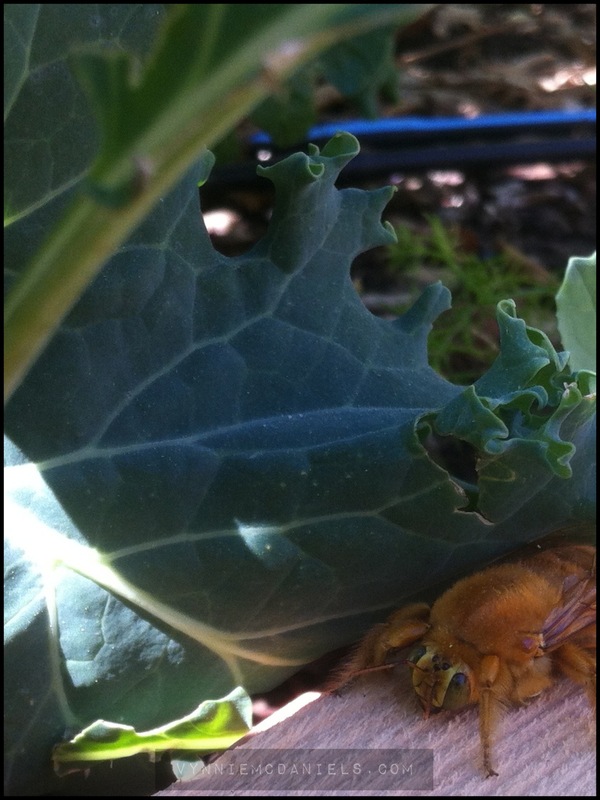 So I gave her a taxi ride to some garden shade near my bee saucers (filled with fresh honey water). Giving nature a helping hand, I know I’ve done good in the garden. Hope you’re having fun this season! 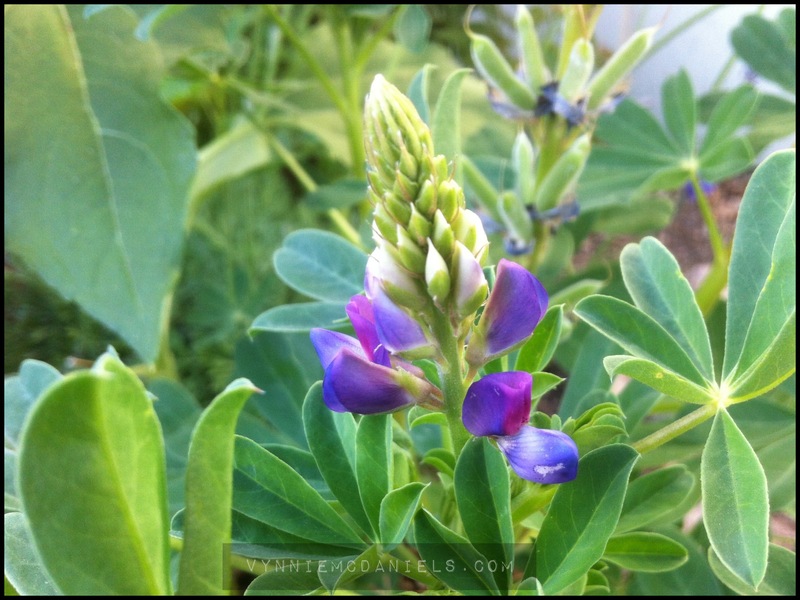 This entry was posted in Grow It and tagged Better Living Through Gardening, Monday Muse, My Farmyard, organic gardening. Bookmark the permalink. 2 Responses to Sunday Funday In The Garden! 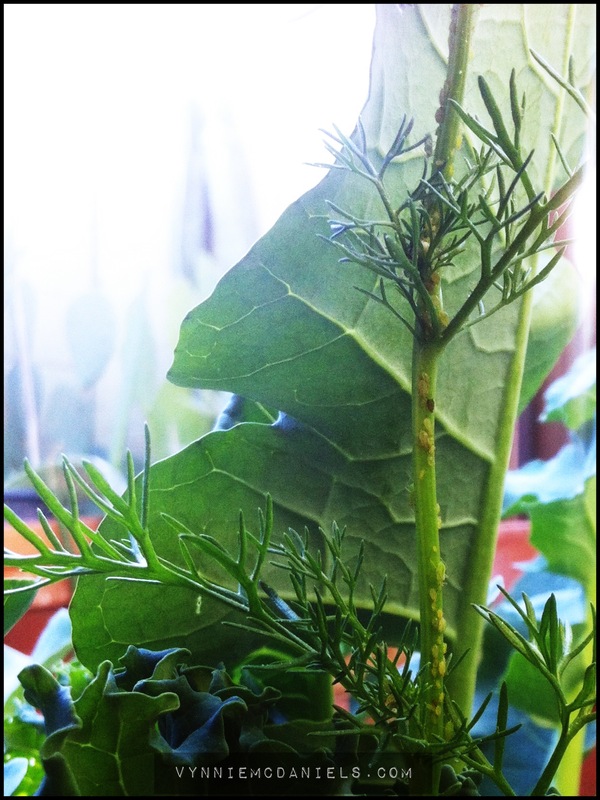 So… you use chamomile as an aphid-attractor? 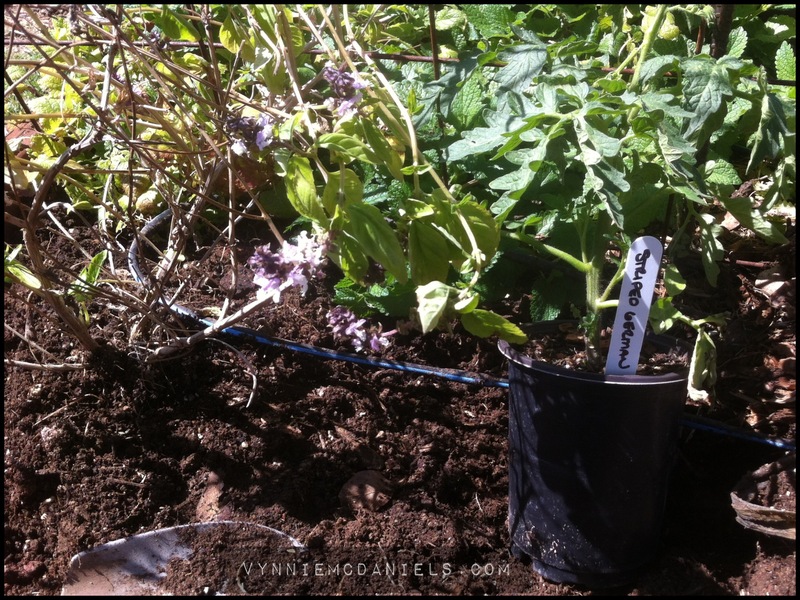 Maybe you could do another post on using various herbs as beneficials in the garden — to attract helpful bugs, deter (or waylay) harmful ones. Or, maybe you could just direct me to where you obtained your info! I have a number of books on organic gardening, but every time I read your posts, I learn something new and helpful.